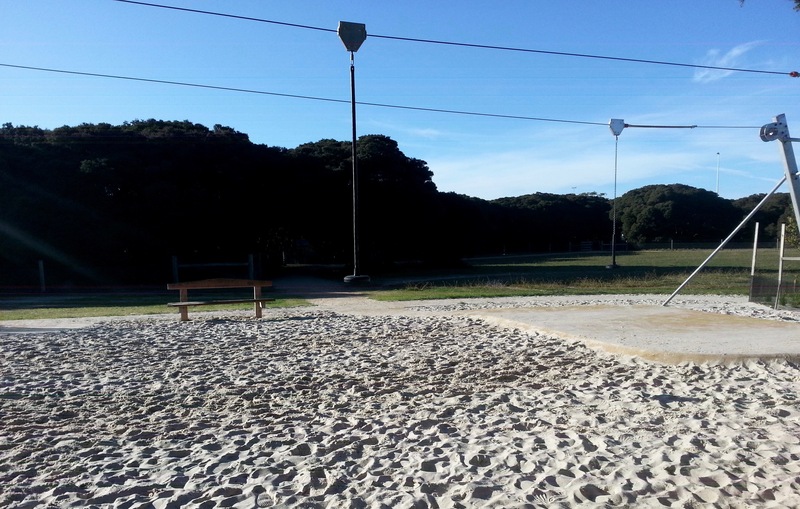 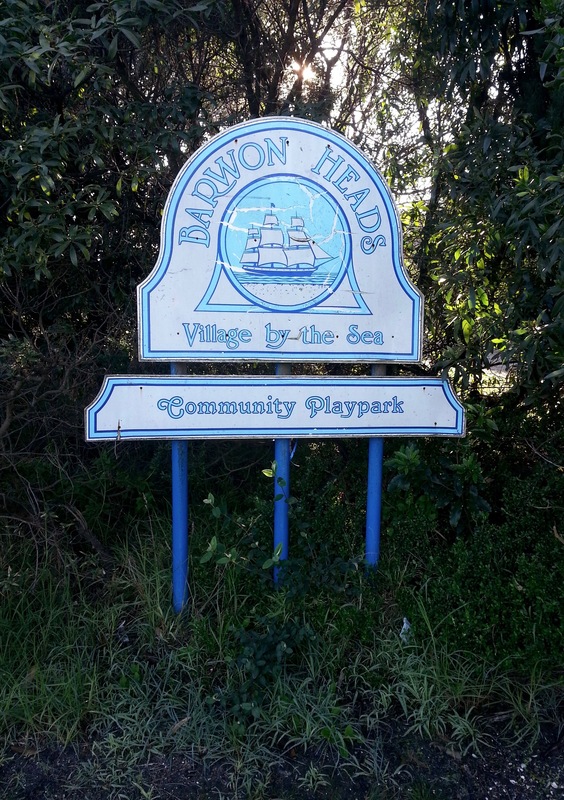 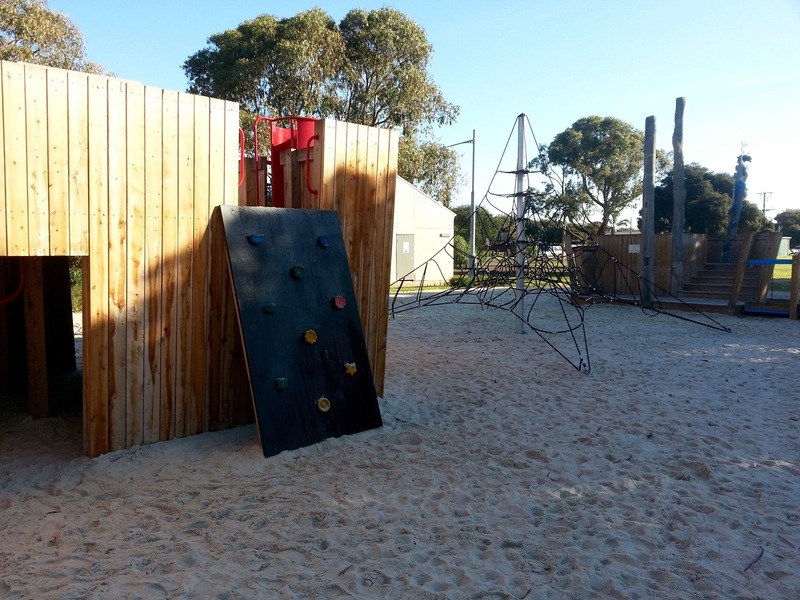 Barwon Heads Village Park (also known as the 'Pirate Park') has been a favourite for many years and is now even better. 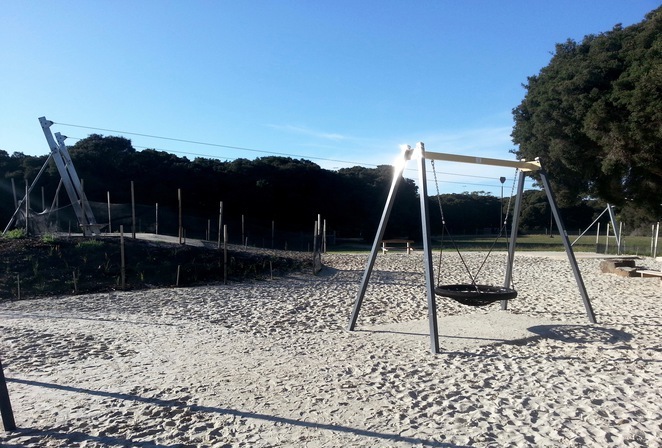 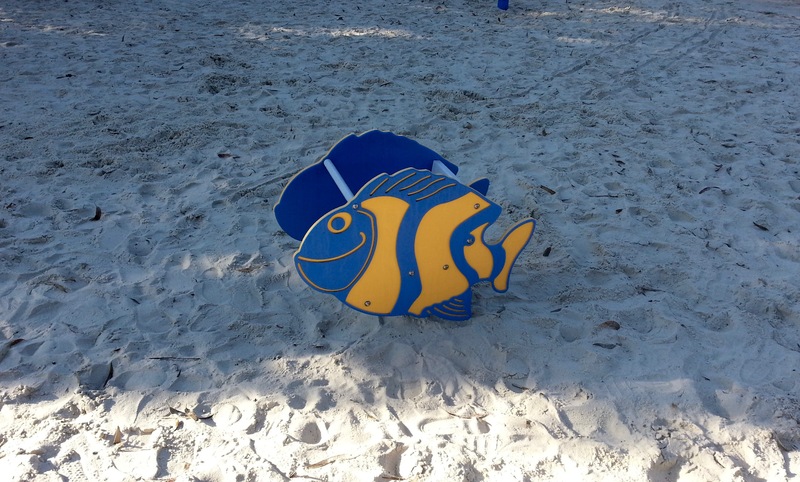 A recent upgrade was completed in December 2015, and the new and improved park officially opened earlier this year. 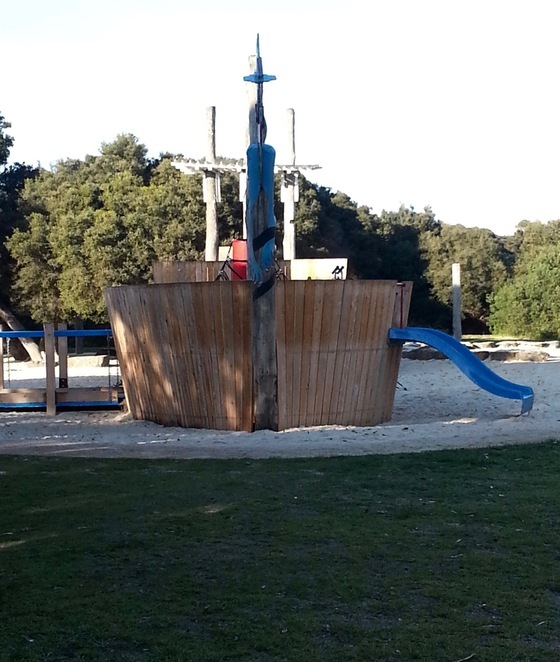 While the colourful totem figures remain, the maze and old pirate ship have been removed and replaced by two separate pirate ships, plus a range of new and exciting play equipment. There is a large rope 'spiderweb' climbing structure, swings, slides, a circular 'saucer' swing, seesaw, spica playground spinners, bouncers, and a very popular double flying fox. 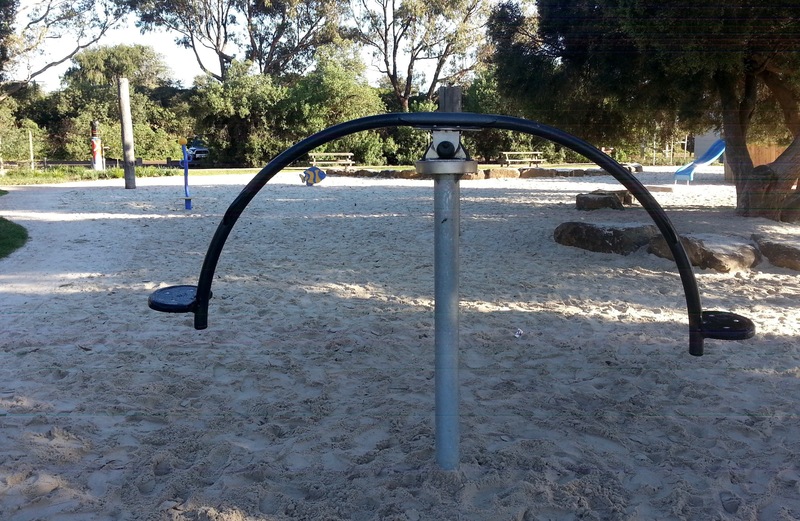 The saucer swing, with the double flying fox in the background. 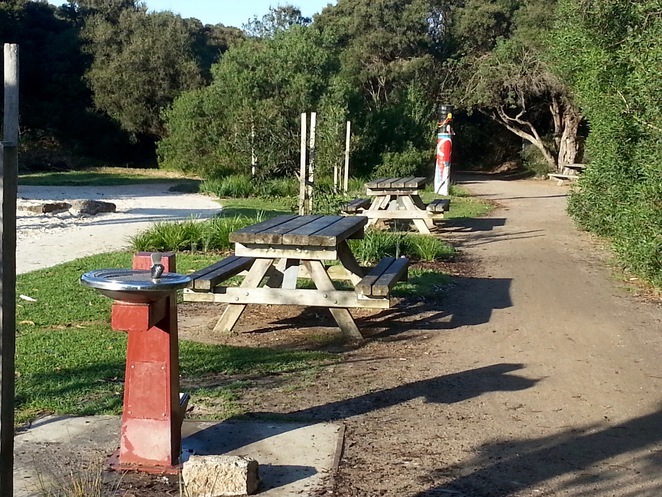 At the back of the playground, there is a picnic area with a set of two new barbecues and picnic tables. 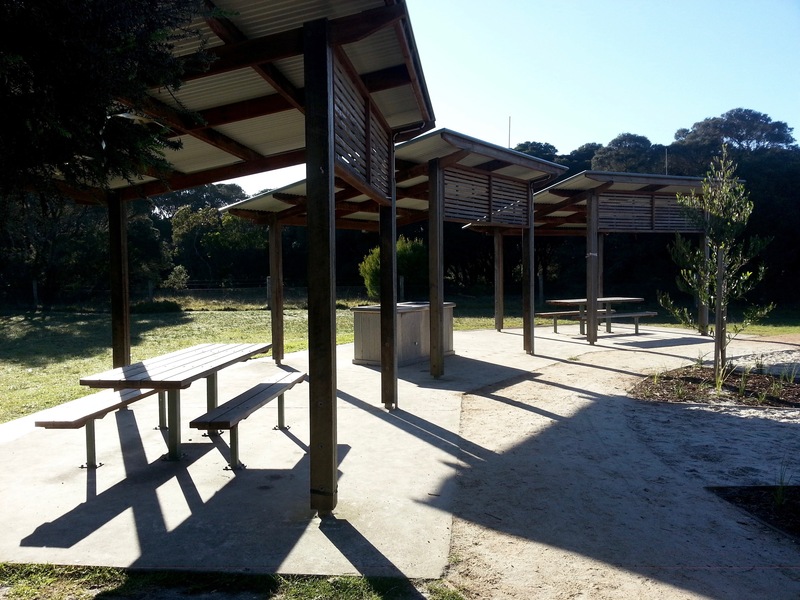 This area is undercover, providing shelter and shade to enjoy a picnic lunch. 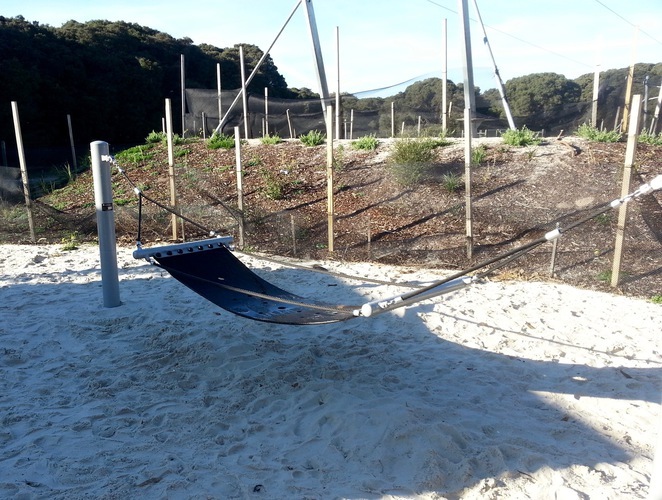 There is even a hammock, to lay back and relax. 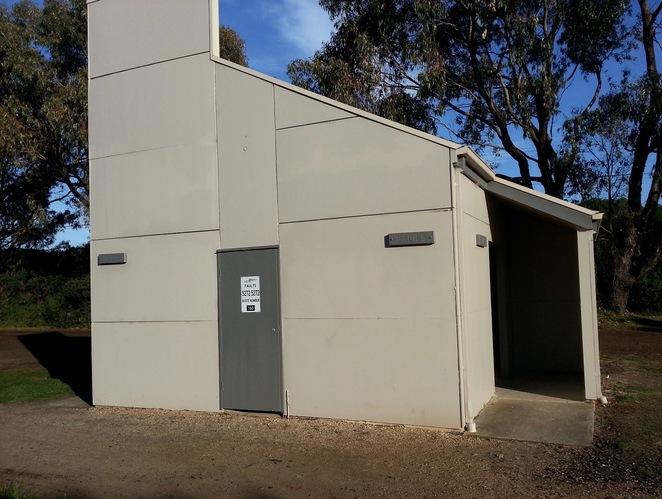 Facilities include a new toilet block, drinking fountains, rubbish bins and dog waste bags. The playground is away from the road and hidden behind trees, so the traffic noise is minimal. 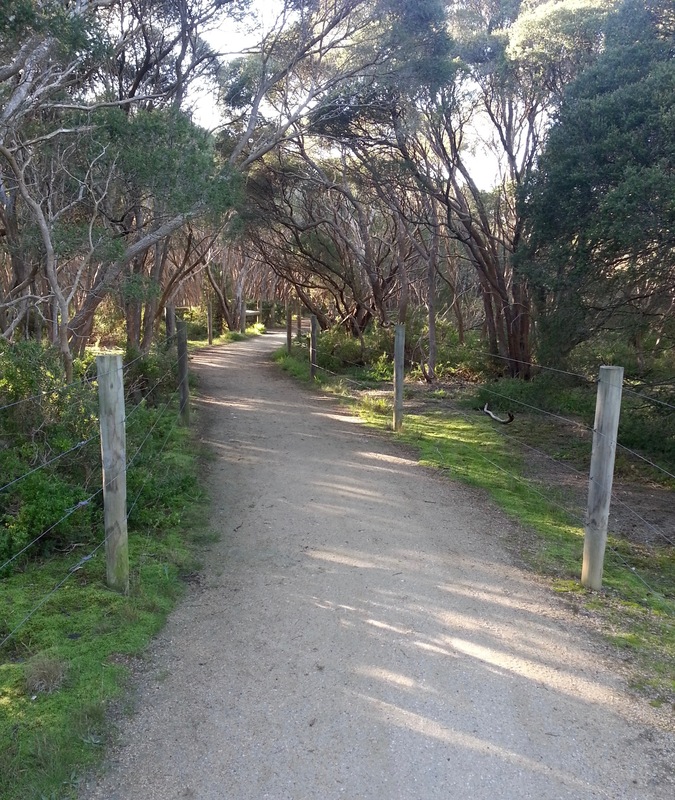 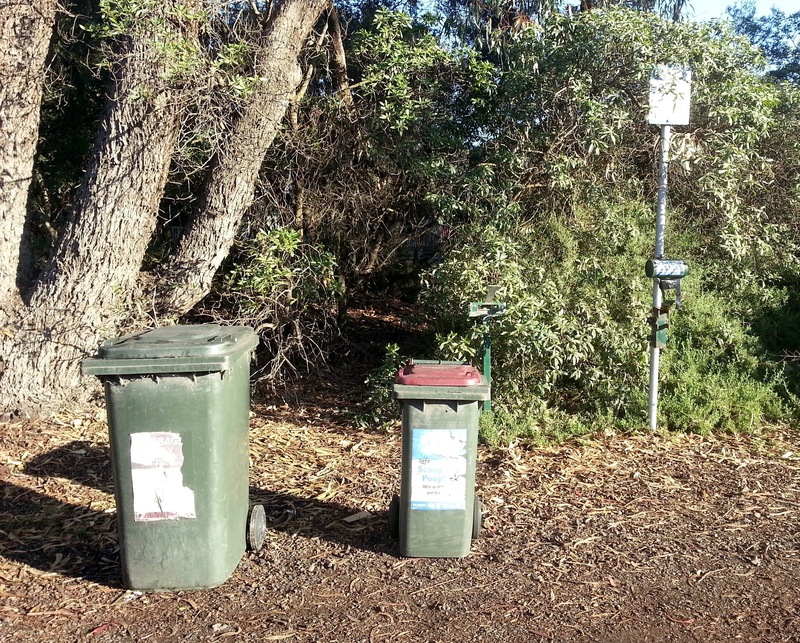 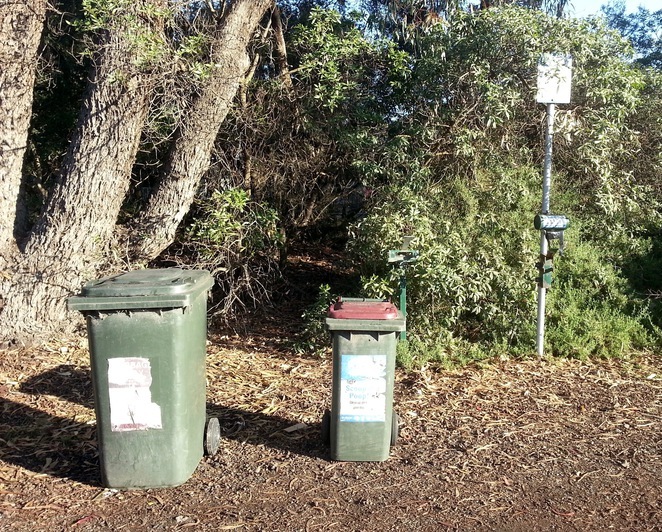 There is also a fantastic walking track through the Moonah tree forest just a short distance away, as well as the popular Barwon Heads skate park. 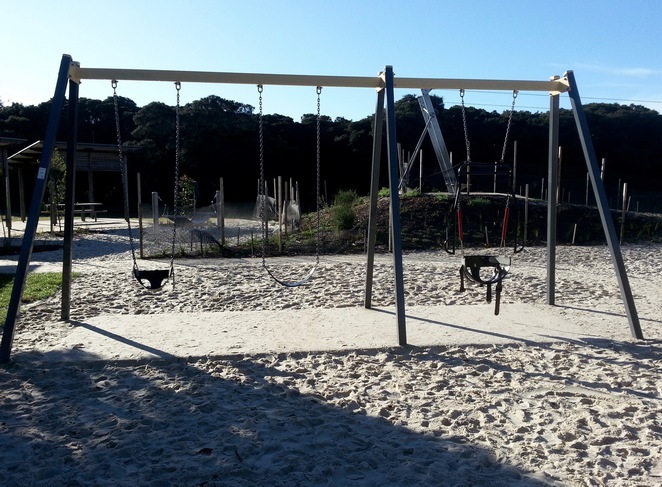 The park can get very busy on weekends and during school holidays, however weekday mornings are a good time to visit, if you have small children and want to visit when it's not as crowded. 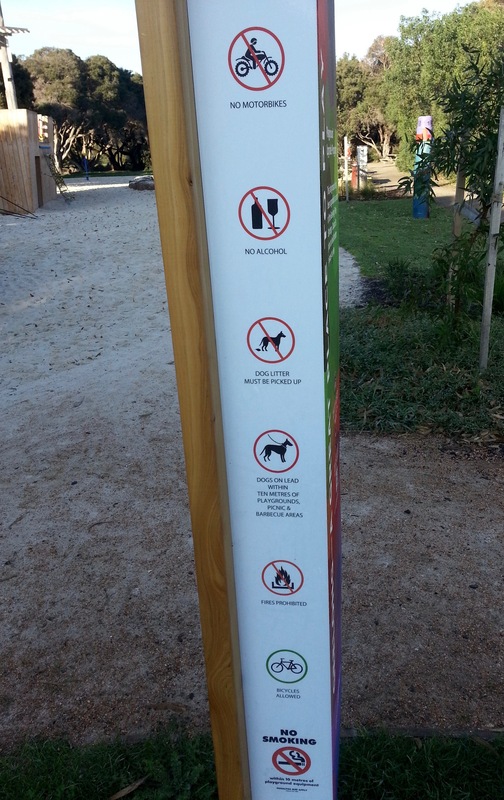 Dogs are permitted in the area, however they'll need to be kept on a lead within 10 metres of the playground and picnic areas.